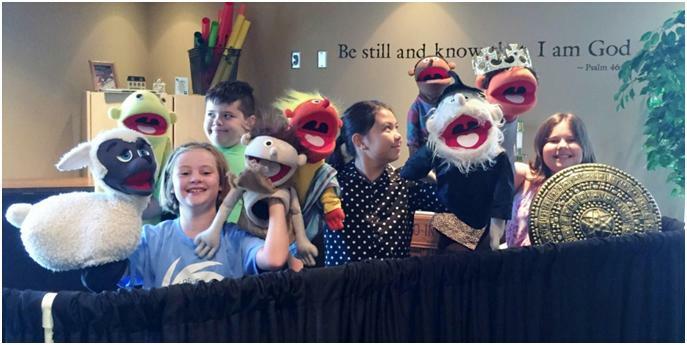 Lenexa UMC provides rich and varied opportunities for children to grow in relationship to God and as followers of Jesus. Knowing that children learn different ways, we invite children to play, move, sing, create, act, and serve. The stories of the Bible are told through interactive activities that engage multiple senses. Nursery Care for children birth through 3 years old is provided in room 206 in the Main Building. Kid’s Court Sunday school class for children years old through Kindergarten meets in Room E119 in the Education Building. Kid’s Kingdom, our rotational model Sunday School for 1st through 6th grade meets on the second floor of the Education Building. Kid’s Kingdom uses different types of learning to study a story for 5 to 6 weeks through our video, bible skills & games, drama, art, cooking, and computer centers. Nursery Care for children birth through 4 years old is provided in room 206 in the Main Building. Kids Connect Sunday school class for children 5 years old through 6th grade meets in the sanctuary and after the children’s moment will walk together to the second floor of the Education Building. Celebration Bells for second grade through 5th grade meets from 7:10 p.m. to 7:55 p.m. in the Music Room of the Main Building. Nursery Care is available upon request for parents involved in Wednesday Night studies or rehearsals. In June, children four years old through incoming sixth graders are invited to a five-day morning Vacation Bible School (VBS). 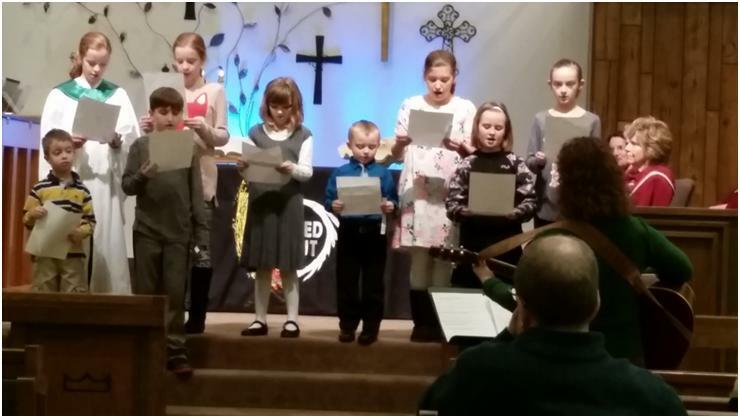 Bible stories are explored through music, art, science, drama, games, refreshments and mission stories. A celebration of VBS is held at noon following the Friday morning session. Vacation Bible School will be June 17-21, 2019. Click here to register for VBS. Kindermusik is a music learning experience for children, newborn through seven years. Children sing, move, chant, play simple instruments and listen purposefully. The emphasis is on process, not performance. Participation facilitates development of language, motor and social skills. For information, including classes available and fees, and to register, go to injoymusic.com.